San Diego has more than its share of small-, medium- and large-sized venues to see rock and pop music. But beneath the din of the punks and the beatmakers, there’s a small but thriving jazz scene in San Diego that always has something to offer, whether it grooves in the pocket or goes wild with free improvisation. Pick up on what San Diego jazz musicians are laying down at these clubs. For the traditional jazz experience in San Diego, there’s no better place to start than Croce’s. After 30 years in the Gaslamp Quarter, owner Ingrid Croce recently relocated the restaurant and jazz club to Bankers Hill, where it continues to host live jazz musicians nightly, as well as during their Sunday jazz brunch. Serious jazz heads and casual listeners alike will feel right at home here. Seven Grand isn’t exclusively a jazz club. It is, first and foremost, a whiskey bar, and if you want to taste some top shelf bourbons or scotches before the show, there’s a lot to choose from. 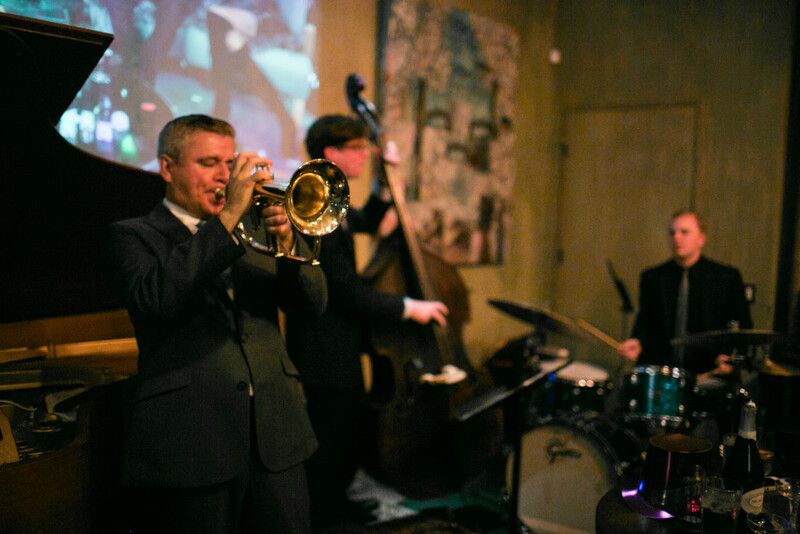 But around 9:00 PM, the stage opens up to an eclectic lineup of acts, from the weekly Gilbert Castellanos jazz jam to the more modern approach of artists like Ian Tordella. And best yet, there’s never a cover for any of its shows. Dizzy’s, admittedly, is in a peculiar spot. By day, it’s the showroom for San Diego Jet Ski Rentals, so if you think you’ve ended up in the wrong spot, just keep that in mind. But it turns out that a big, open showroom for watercraft is actually a fine spot for a jazz concert. It’s spacious, and with excellent acoustics, and there’s no noisy bar scene to distract from the subtler performances. If you want an antidote to the louder and more chaotic clubs, this is the jazz venue for you. A casual coffeehouse, wine bar and music venue all combined into one space on the UC San Diego campus, The Loft has had quite a few notable touring and local bands on its stage. But a hefty chunk of its music programming comprises jazz, both conventional and avant-garde – much of it courtesy of some talented locals (and students to boot!). It’s a comfortable space to chill, but just remember, it closes while school’s out for the summer. This entry was posted in Arts & Culture and tagged arts and culture by Jeff Terich. Bookmark the permalink. Every time I visit San Diego I make it a priority to stop by Seven Grand for the finest whiskey and music in town!